Serving as a slimmer alternative to the manufacturer's original lens cover, the ASCN-5 Soft Cap from AquaTech is compatible with the Nikon AF-S NIKKOR 500mm f/4G ED VR lens. It protects the front element from dust, dirt, and scratches when the lens is not in use. The cap is crafted from waterproof, flexible silicone rubber, and fits snugly on the end of the lens without touching the front element's surface. Additionally, it can be used in conjunction with AquaTech's SoftHood collapsible fabric hood. Box Dimensions (LxWxH) 8.1 x 7.7 x 1.7"
ASCN-5 Soft Cap for Nikon AF-S NIKKOR 500mm f/4G ED VR Lens is rated 4.1 out of 5 by 7. Rated 5 out of 5 by Tien from Excellent fit and easy to use. Pricey This cap is very flexible, just push it in the front rubber part of the lens. It is easy and fast to remove it for immediate shooting. It is way too big for my pocket, except my camera vest. Better protection of the from cap when transporting in backpack rather than the trunk. However the Nikon cover is more of the lens in dusty environment. A bit pricey for the cap, but seems to be very well made and durable. Rated 5 out of 5 by Miguel Pal from Fits just right! Fits my Nikon 500 f/4 VR just great! Doesn't touch the front element and it allows me to stand the lens upright if I need to. Rated 5 out of 5 by Dave from It's Definitely Worth It The Nikon OEM cover is typical. 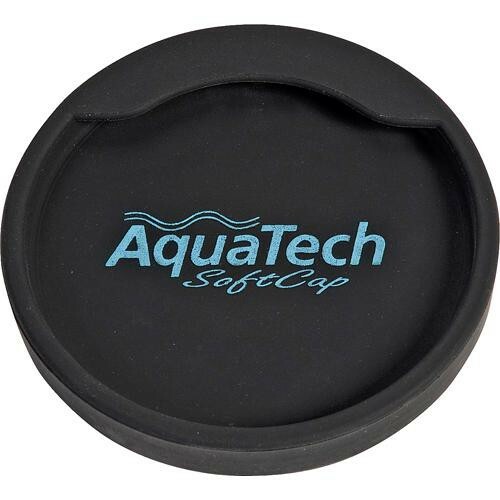 The Aqua Tech is light, very sturdy and allows you to stand it up firmly on end without worry. Also, the Aqua Tech fits in my front pants pocket, where I always put my other lens covers.. Do yourself a favor and buy it today. Rated 5 out of 5 by Karen from Great lens cap! I wanted a better cap for my Nikon 14-24. The Nikon cap, while providing protection for the glass, scuffs up the barrel of the lens and is subject to falling off. This cap works really well. And the insert does provide good protection for the glass as well. Rated 4 out of 5 by Jamie from Works great! Fit's my older AF-S 500mm f/4 (non-VR version) just fine. I have the previous (non-VR) Nikkor, does anyone know if this would fit? This one will fit the the non-VR hood. Will it fit the new Nikon 500 f4/E FL?